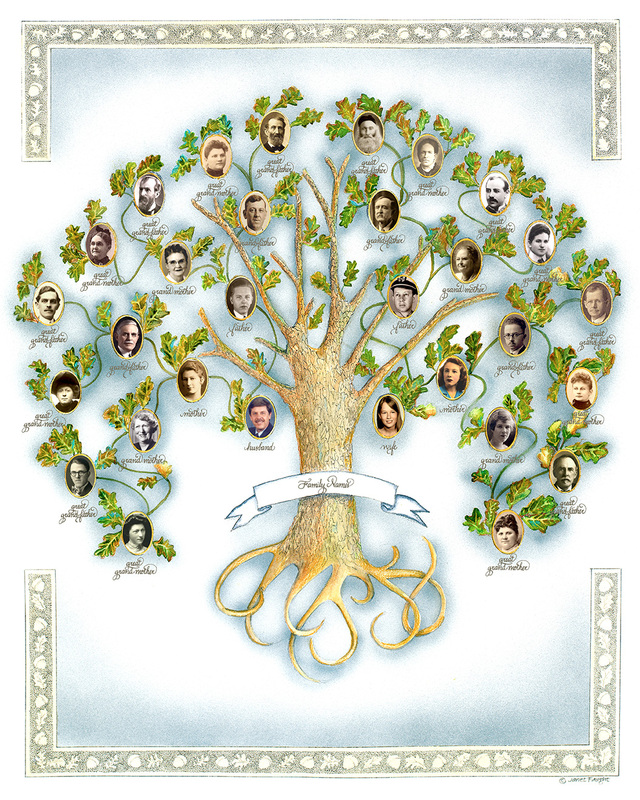 The purpose of our family trees is to help people document their genealogy in a very aesthetic way. The tree is done with pen, watercolor, and airbrush. Photoshop is used to adjust ancestral pictures to complement the overall artistic composition. The names are hand-done calligraphy uploaded into photoshop instead of being done with mechanical computer text fonts. The finished tree can be framed and hung on the wall, reinforcing the value of the family in an artistic way. An elegant family tree with names hand written in calligraphy is a fine addition for any family room or office. Order yours today!